“One day in May 2012, Amager Bryghus had a visit from one of America’s most charismatic brewers: Fred Karm from Hoppin’ Frog in Akron, Ohio. Fred was on tour in Europe and came by to guest brew with us. The result of this pleasant and rewarding day was Frog Hops to Amager. 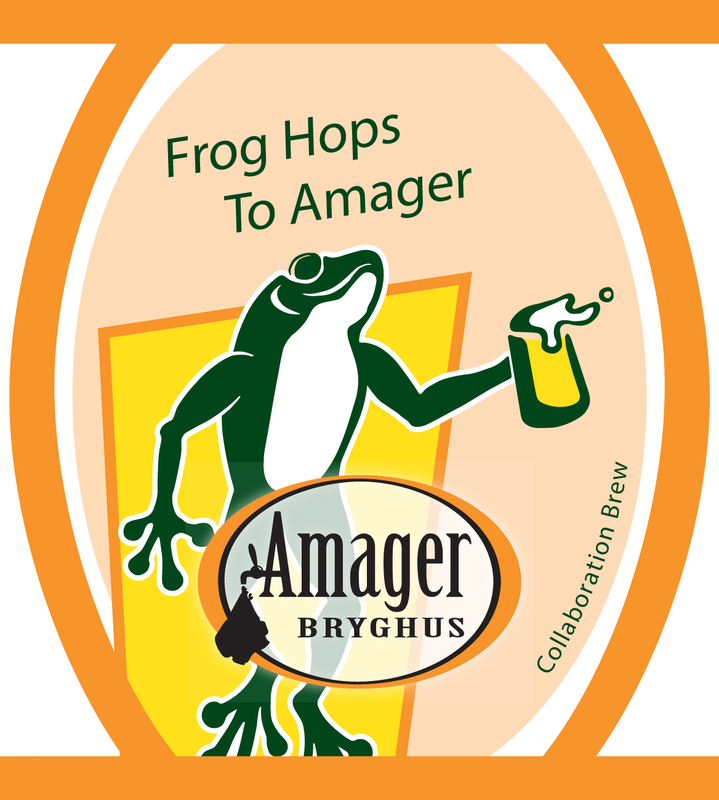 Frog Hops to Amager is a somewhat rare type, namely an Imperial Wheat Stout, brewed with eight different malts, two of which are wheat. And then it would not do for us if it was not hopped strongly so we gave the beer a solid game of Tomahawk and Chinook. You will find an intense and aromatic hopping beer, which is perhaps a little softer and not so heavy as other Imperial Stouts.